Learn the traditional Act of Faith for an increase in the virtue of final perseverance. Also see the Acts of Hope and Charity below. Sometimes the sisters or a catechist will ask children preparing for the first reception of the Holy Eucharist to learn several of these Acts since they make awesome morning prayers or evening prayers. In fact the Church has long recommended them for morning and evening prayers. 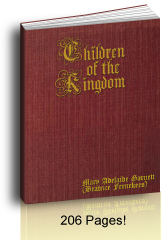 More frequently they are not required for little children who have not yet received the sacrament of Penance because they are busy learning the Act of Contrition, the Apostles' Creed, Our Father, and Hail Mary. By the time children are preparing for Catholic Confirmation, it is definitely good to know these Acts of Faith, Hope, and Charity. They ask for the main graces necessary to keep the Faith and die well. Again, many Catholics use them for morning and night prayers. The Act of Faith sums up the Apostles' Creed. It also gives the reason Catholics believe in the Blessed Trinity: God Himself revealed it. Whether or not we can understand a revelation, we believe it because He Who is Omniscient, All-Knowing, revealed it! 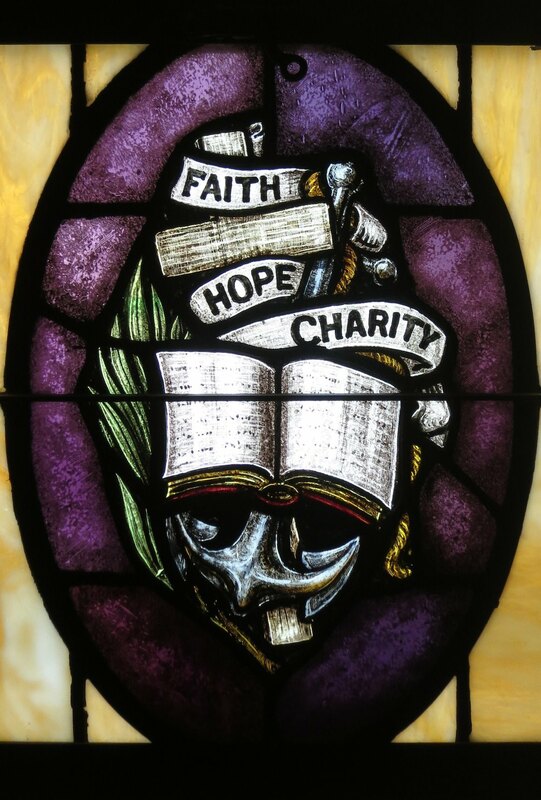 Most catechisms that say that we should learn the Acts of Faith, Hope, and Charity by the time we receive Confirmation. They teach that these are the prayers that include what a martyr needs at his most glorious hour. Why? and is sorry for his sins. One, two, three, four - these prayers cover the basics. 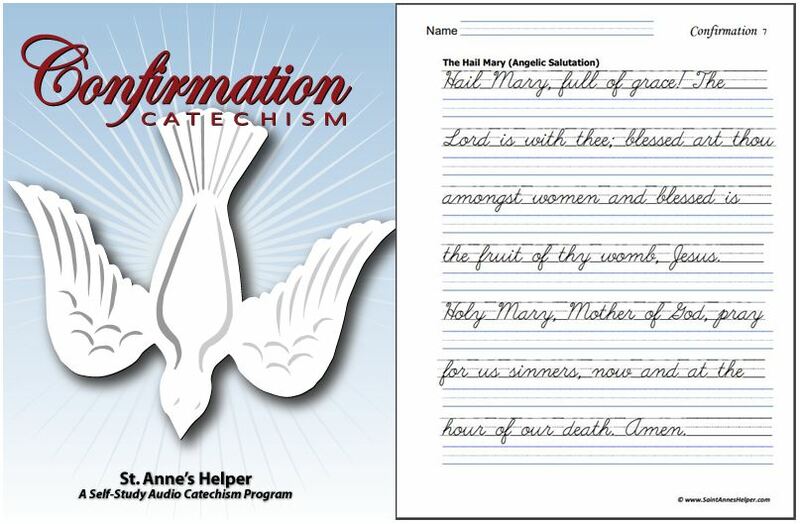 All these prayers are included in the Saint Anne's Helper audio, worksheet, and ebooklet downloads. You can see these prayers and all the questions and answers for First Communion and Confirmation here. The Act of Hope from the 1885 Baltimore Catechism is very easy to learn. The virtue of hope is often overlooked today, but it is precisely the antidote to so many people today losing hope in their lives. The virtue of hope neither despairs or presumes. Those who do not have or practice the Catholic Faith can fall prey to these sins of despair and presumption. Sometimes all we need to do is make a mental act to know that "all is not lost", but few of us can do this without the Catholic Faith and constant prayer. This prayer helps us gain the graces necessary to have hope. Children need to know this prayer and its virtue so that they enter life prepared to count on God's promises when the need arises. If you are teaching this Act while teaching children about Communion, keep learning it away from the Saint Andrew Christmas Prayer as its ending is very similar. The Act of Hope reminds us what our Faith will provide in the end. "If you love me, keep my commandments. And I will ask the Father, and he shall give you another Paraclete, that he may abide with you for ever" (John 14:15,16). It helps to run the race when one has the goal in mind, especially on the very Word of Jesus Himself! 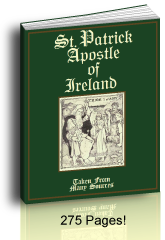 You or your students can learn the Acts of Faith, Hope and Charity easily with St. Anne's Helper's Audio CDs and Copybooks. Because Thou art all-good and worthy of all my love. The old Act of Charity from the 1884 Baltimore Catechism is easy to learn. It is a beautiful prayer to gain the grace necessary to love God and our neighbor. It is usually assigned with the Act of Faith and the Act of Hope. This one prayer alone expresses most of what is necessary to die as a martyr, just add praying for the conversion of one's persecutor! Many people who are studying to receive the Holy Eucharist and Confirmation are asked to learn the several Acts in preparation for receiving the sacraments. These prayers have the very sentiments that we must have if we are to live as a strong soldier of Jesus Christ and die well. These prayers cover the virtues that the Catholic Church looks for in determining if one has died as a martyr. Watch teaching very little ones these different Acts until the Act of Contrition is well learned for receiving the sacrament of Penance. They can confuse these prayers easily since they all start with the phrase, "O my God!..." This Act in particular has a phrase that might cause the recitation to end with the ending to the Act of Contrition. If your students are especially bright or say their Act of Contrition each night, the Acts of Faith, Hope, and Charity make excellent morning and evening prayers since they dispose us to love God all day and to trust Him through the night. Of course, you can make a personal act of faith without the formal words any time of the day or night. 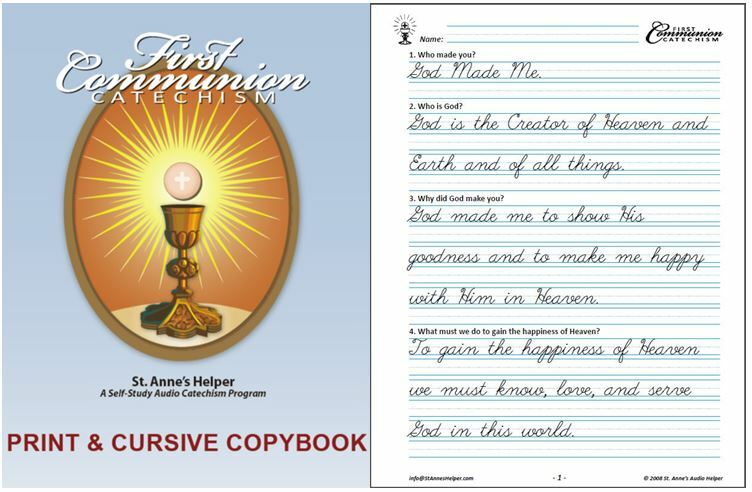 St. Anne's Helper has the main Catholic prayers on audio and printable worksheets, and you can see them in the First Communion and Confirmation catechisms.